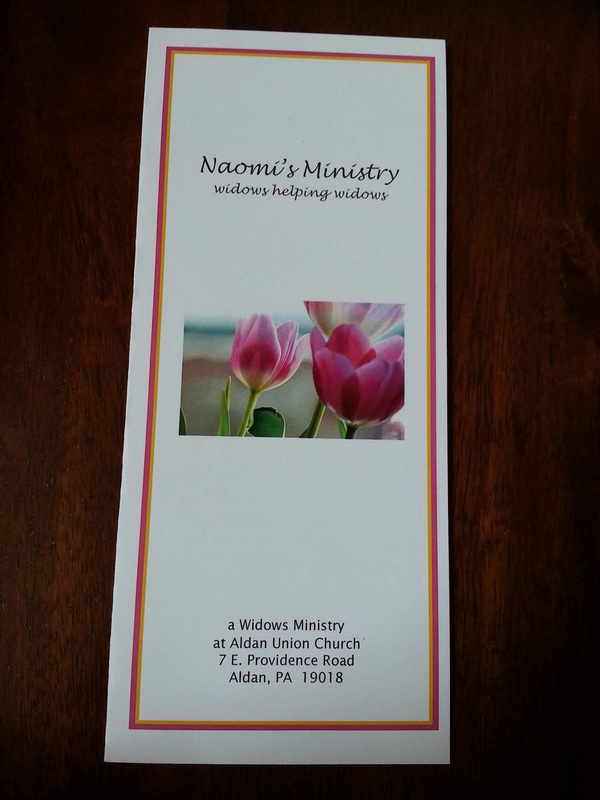 Getting ready to kick-off into their second year of ministry, the Naomi's Ministry in Alban, PA continues to blossom and grow. Denise Sweeney sent me a description and some of the ways that she and co-leader Carol Eskridge get the word out about their weekly group. 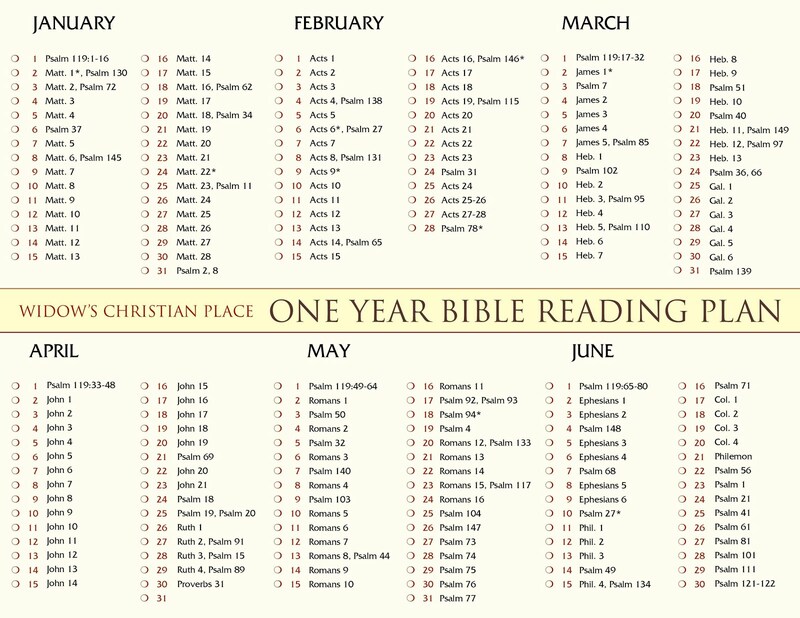 I'm delighted to share their ideas here so you can adapt them to start your own group at your church. First, the pictures, then follow through to see the good stuff Denise told me. (If you're viewing this on your phone and the photos don't show, try clicking on the title so you can get to the actual site). *contact info for Carol and Denise with their names, phone #s and email addresses. Inside the brochure it says "As widows, we are on a journey that God has chosen for us. It's a difficult one, but God has told us in His Word that we are special to His heart." (II Corinthians 1:3-4 and I Peter 5:10 are printed out in full in case you can't see it in my fuzzy photo). 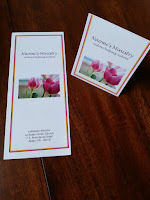 I love this idea---the folded standing up card is simply an altered version of the front of the brochure. 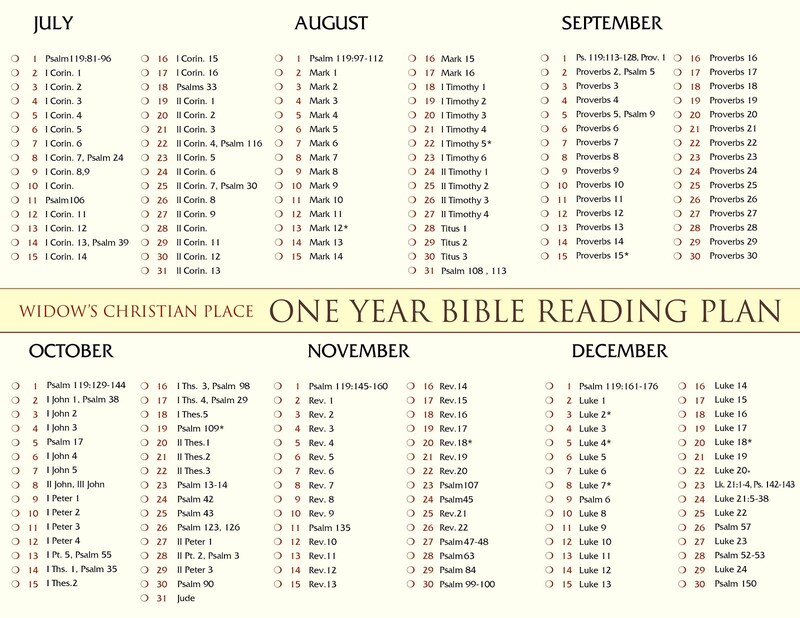 It's printed on card stock, blank on the inside, and may be used for notecards or at luncheons for place marks, etc. 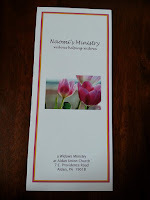 This last photo displays the promo sheet for their start up which was a luncheon for widows at their church. They also created a questionnaire to gather information about each attendee and their interests, and also discover additional ideas for ways that a widows group could effectively minister. The group has since invited speakers from their church who are professionals in estate and financial planning and they've taken day trips and more! They always have announcements in the church programs and good support from the office staff and pulpit--which is very important! Please read on for more from Denise. What is the main thing you do? · Our main purpose is to offer support love and encouragement to Widows. To give them a safe place that they can come and share their pain, cry and grieve with others who understands. No one can really understand what a widow is going through better than another widow. 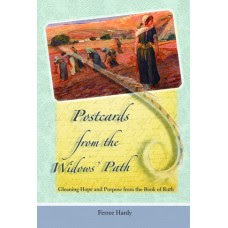 · We have done book studies (Postcards from a Widows Path, From One Widow to Another, and others). · Once a month we meet at a local pizza place for a change of pace. On those nights we do a devotional and share a meal and just enjoy being together. · We have done trips together. This past November we went to Lancaster to the Sight and Sound Theatre to see the show JESUS. Afterward we had a wonderful meal together. We have also done day trips to the shore and Lancaster to shop and have lunch together. And the ladies also enjoy getting together for lunch or dinner. Not the entire group but maybe 3 or 4 of the ladies will do that between meetings. The ladies have really bonded and truly enjoy spending time together. On special occasions we will go out to a nicer place for dinner to celebrate holidays and such. We also do weekly prayer requests and praises for answered prayers. · We are coming up on our 2nd year anniversary. We plan to celebrate by having a High Tea at our church on March 30th. We also plan on inviting Widows from other local churches to come to find out more about our group. · One more thing that I forgot to mention. We have also had meetings with guest speakers. For example: we had a financial planner from our church come and explain to the ladies how to take over and manage our funds (or lack there of). He explained budgeting, insurance needs, etc. We also had an estate lawyer, again from our church, come to explain wills, POA’s living wills, etc. These people were able to offer advice that was so valuable to the Widows during a time of confusion and not being sure what they should or should not be doing. How did your group get started? · God just really put it on my heart the need for a ministry to the Widows at our church. Once the idea got started, God graciously opened doors for us to get started. 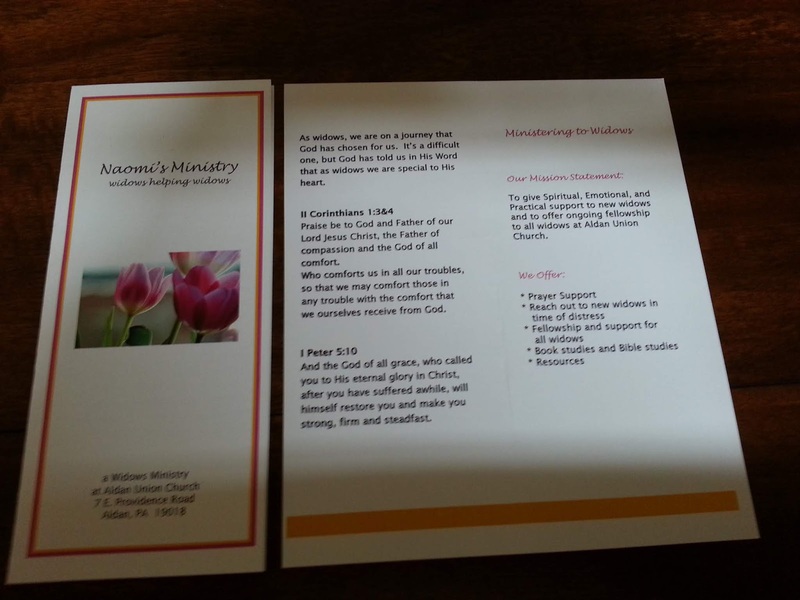 · Carol Eskridge and I presented our plans to the Women’s Ministry at our Church. From there, we presented the idea to the Church Committee. We received encouragement, support and approval from all concerned. · Our first meeting was held on March 25, 2017. We placed announcements in our church bulletin, along with passing out flyers and inviting Widows that we knew personally. We held a luncheon at our church to share what we would like to offer to Widows. We told the ladies how very much God Loves and Cares for Widows and how we hoped that our group could help share God’s love with them. Thank you Denise, and may God use this to plant other widow ministries! 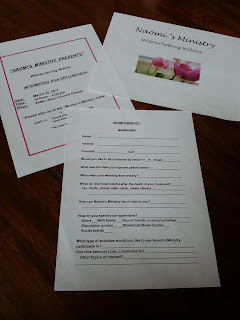 I'm just getting ready to start a widow's ministry and love the ideas shared here. Thanks so much! Rebecca it sounds like God's perfect timing and I know that Denise and Carol and their group will be so pleased to hear that you're starting a group too. The Lord is moving many to start these groups and it's really cool to see them pop up all over the country. Many blessings on your days ahead as you follow God in this start up! Watch for more features about groups to come and keep me posted about the happenings with yours. PTL!